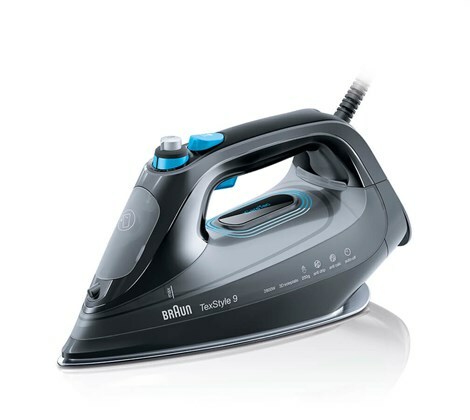 Brauns fastest steam iron and worlds number one in scratch resistance with superb gliding even backwards. iCareTec smart textile protection, Auto-off, steam rate 50 g/min in turbo mode. Steam shot 230 g/min with anti-drip function.